An update to Hangouts was pushed through Google Play this morning as v2.0.2. It doesn’t bring anything massive like full Google Voice integration, but it does tidy up MMS sending/receiving issues. 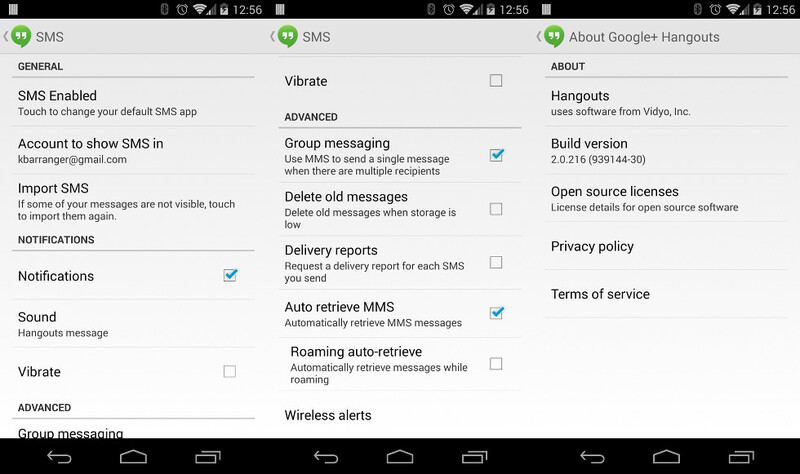 You’ll also find a toggle for using MMS to send group messages and an option to import other SMS messages that may not be showing in your conversation list. If you’d like to sideload it ahead of time while flipping the bird to “staged rollouts,” grab the apk here. Contest: Win a Moto X Developer Edition (GSM) From Droid Life! Verizon Galaxy Note 3 Set to Receive an Update - Improves Connectivity, Preloads Bloatware, and Fixes Lots of Bugs?